In honor of Taco Tuesday, we're serving up quesadillas. That's almost like a taco, right? If you've never had a quesadilla, you should. 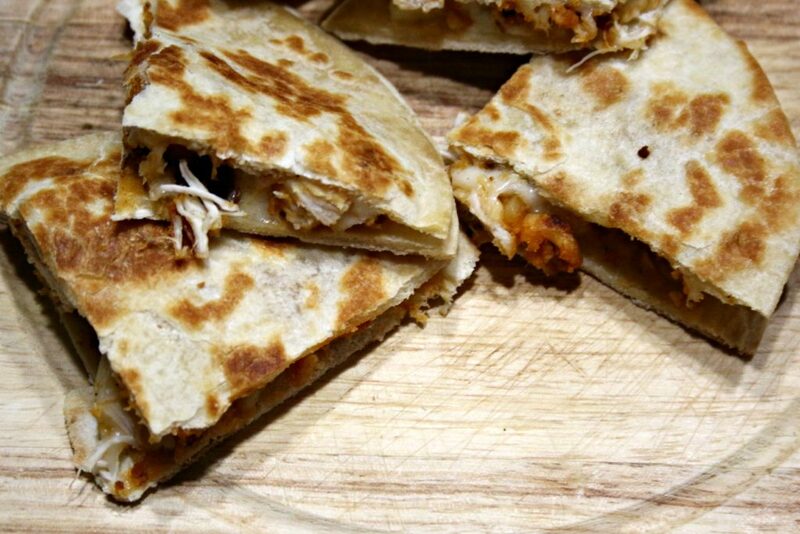 Quesadillas are like the grilled cheese of tacos. 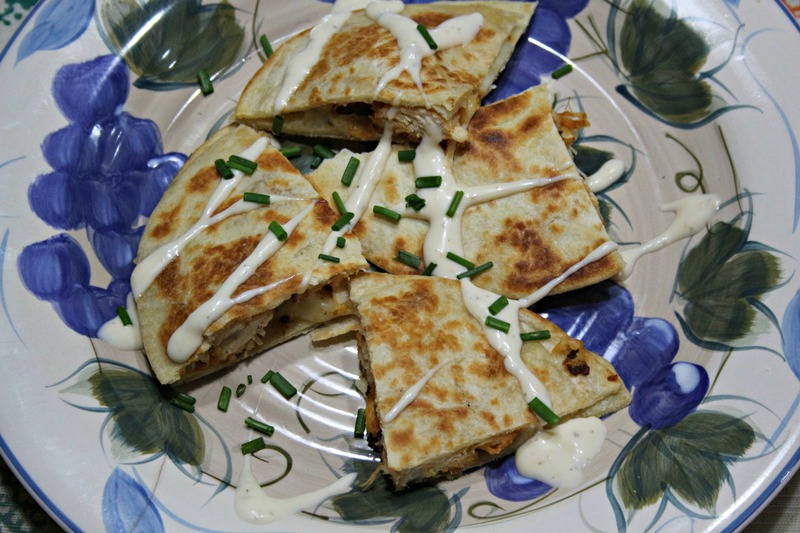 You can make a quesadilla out of just about anything – leftover meat, veggies, delicious melted cheese and dipping sauces? You're only limited by imagination. 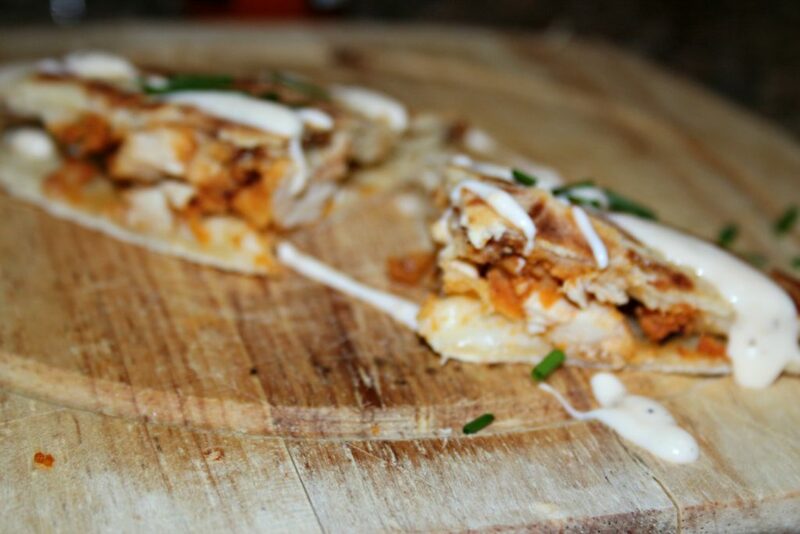 I love buffalo chicken tacos. I love anything with buffalo sauce on it. This recipe is a hodgepodge of a couple of different recipes I've pinned to my Tacos, Tacos, Tacos Pinterest board. I created this one because it's less spicy than a lot of the recipes out there – the Sweet Baby Rays sauce is pretty mild as far as buffalo sauces go – and I really wanted to do these as quesadillas because my son Zack finds messy tacos a little bit difficult to manage. He has a limb difference and if you're not familiar with his story, you can read about a little of it HERE. Zack isn't really very limited but eating messy tacos is a little challenging right now so I wanted to keep the zesty buffalo flavor and make these easier to eat. These are really easy and fast to make and if you don't have something planned for Taco Tuesday, you probably have time to throw these together. Mix flour, corn starch and salt together. 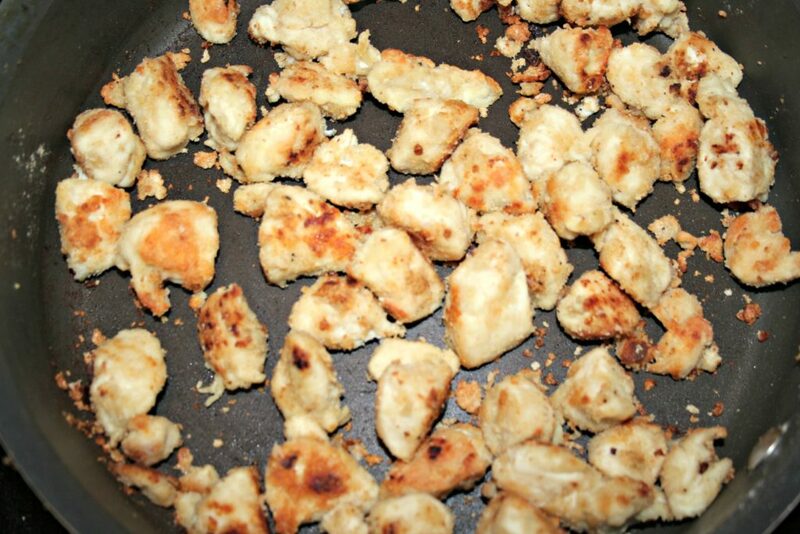 Toss chicken to coat. I use a Ziplock bag. Heat olive oil in a medium/large skillet. I do 2-3 times around the pan. Yes, I've watched too much Rachael Ray and I never, ever measure my EVOO. 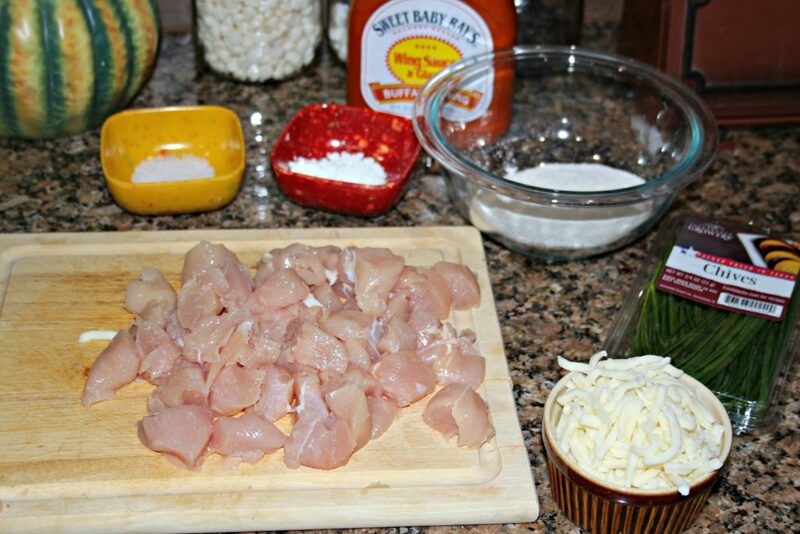 Add chicken, cook for 4 minutes over medium-high heat on each side until chicken is nice and brown. 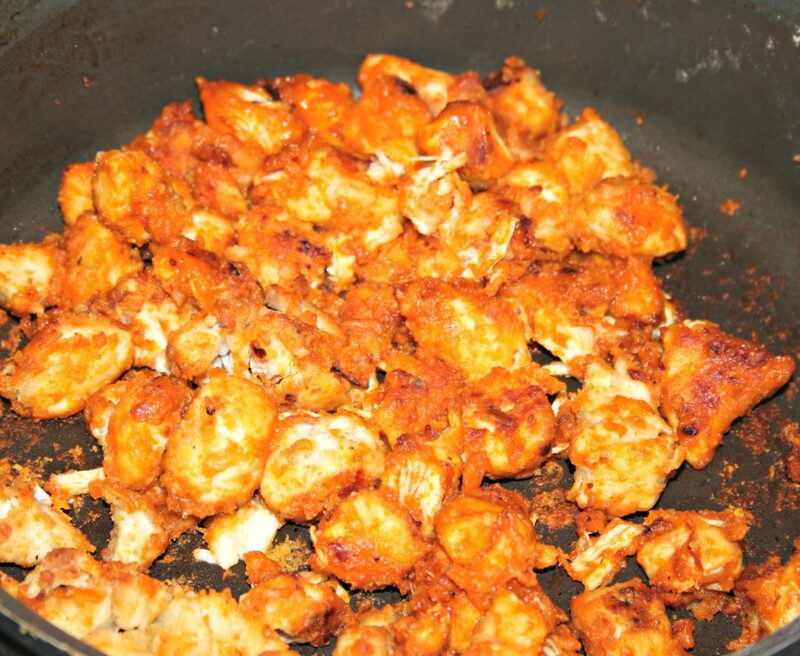 Mix in the Buffalo Sauce and heat thoroughly – about another 3-4 minutes over medium-high heat should do it. I use a very scant 1/4 cup of Buffalo Sauce. One of my kids doesn't like a lot of heat and I reserve the extra sauce for dipping for those of us who like more heat. 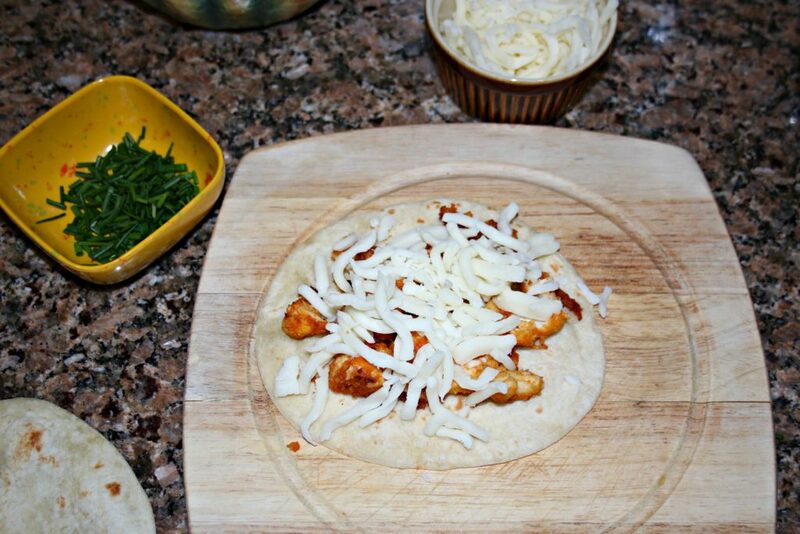 Spoon the chicken over top, add more cheese and place a second tortilla on top. I like to smush the top tortilla down firmly. 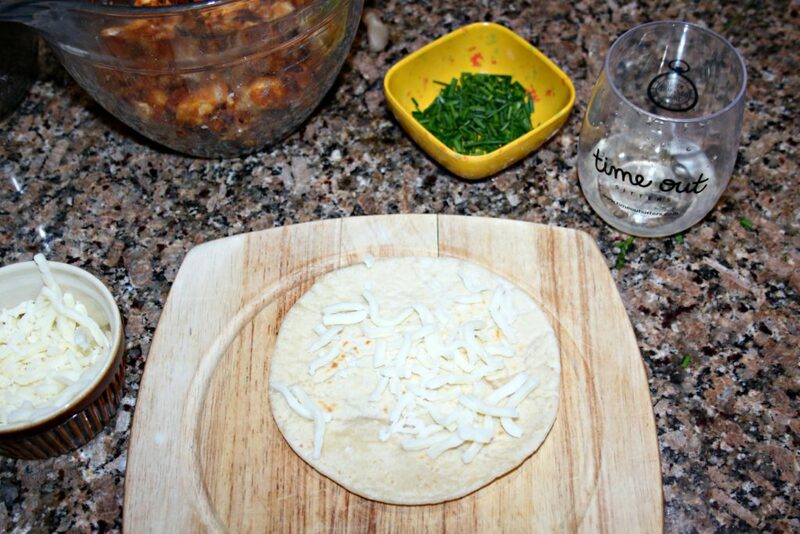 It seems to make the quesadillas hold together a little better while they're cooking. You can cook quesadillas on a griddle or in a regular frying pan. 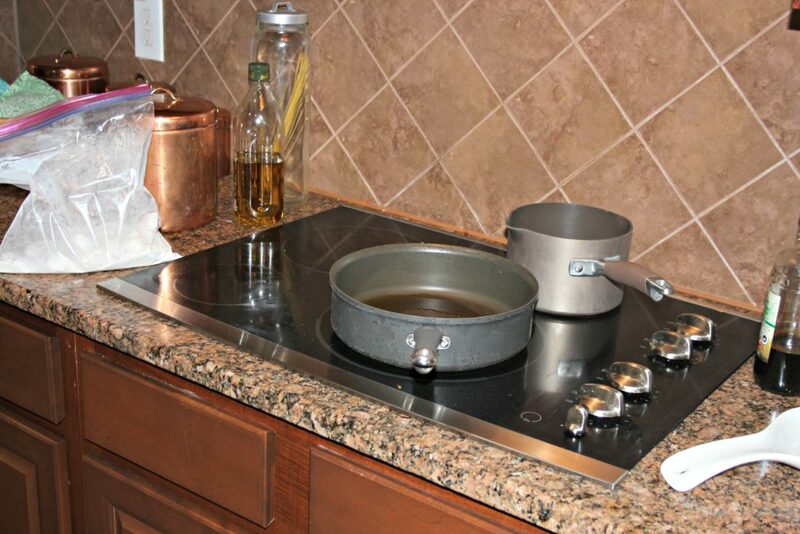 Heat your pan to about medium and add a little spray oil. Cook for about 3-4 minutes on each side until the tortilla is golden. It's exactly like making a grilled cheese. Drizzle with Ranch of Blue Cheese (Bleu if you wanna be fancy) and chopped green onions or chives. I personally like the flavor of chives a little better. You can also add additional toppings if you like – sour cream, lettuce, tomato, avocado, more cheese. Cheese is always good. I like to dip mine in extra buffalo sauce. This recipe makes 6 quesadillas. 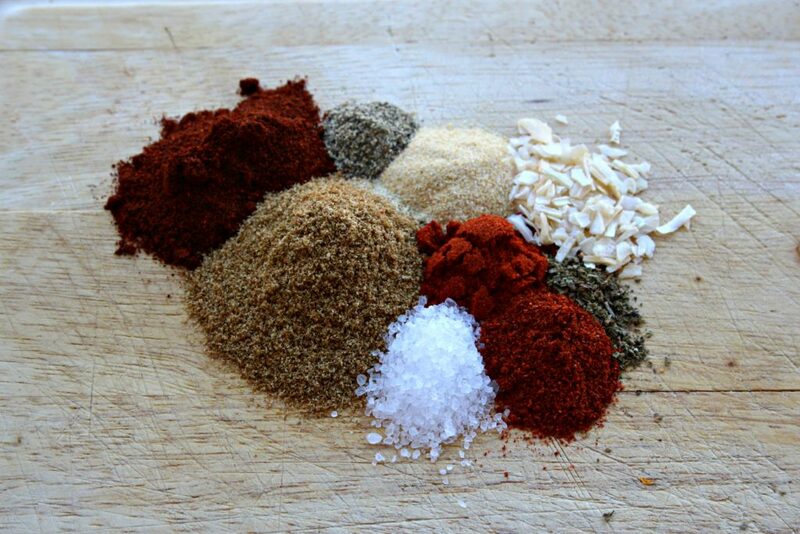 Check out my homemade taco seasoning recipe! Joanna recently posted…Writing Has Saved Me. These look amazing! 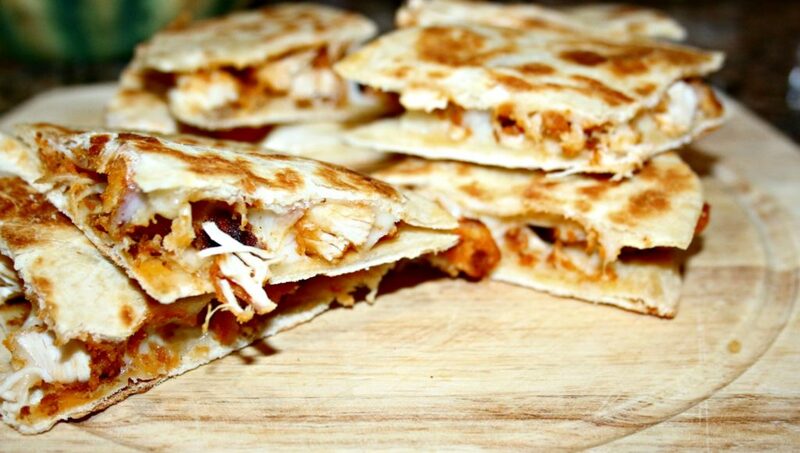 I love buffalo chicken and these quesadillas look incredible. Pinning now. My picky eaters loved these quesadillas. Thanks for sharing.